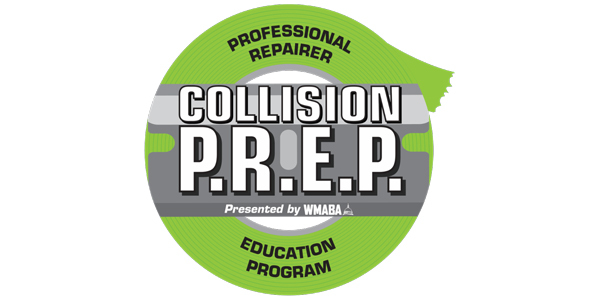 Washington Metropolitan Auto Body Association Seeking Speakers for Collision P.R.E.P. The Washington Metropolitan Auto Body Association (WMABA) Collision P.R.E.P. education event, serving the east coast collision repair industry, will once again be at the NORTHEAST Automotive Services Show March 15-17 in Secaucus, N.J. The event is now announcing the open window for speakers to submit their presentations for consideration in the educational lineup. Last spring, the Collision P.R.E.P. – short for Professional Repairer Education Program – had a full slate of nationally recognized speakers that led to a fantastic turnout by repairers, according to WMABA. Hoping to continue to grow and bring leading edge topics that are relevant to collision repair industry advancements, WMABA is asking for submissions by industry leaders. Collision P.R.E.P. will follow the format of seminar presentations, as well as organized panel discussions. The focus will be on relevant and timely information that addresses issues collision repairers are currently facing. The deadline for submitting a presentation is Friday, Dec. 7, 2018. Submissions received after that may not be considered for this event. Note: there is no speaker compensation for participation as a presenter in Collision P.R.E.P. WMABA encourages NORTHEAST exhibitors to support WMABA through sponsorship of the Collision P.R.E.P. program. NORTHEAST 2019 show sponsorship and promotional packages are also available through AASP/NJ. As a sponsor, your company will receive highly visible recognition before, during and after NORTHEAST. If you have any questions or would like more information on Collision P.R.E.P., contact WMABA Executive Director Jordan Hendler at [email protected] or (804) 789-9649. For questions regarding NORTHEAST, contact event management at (973) 667-6922.